The Leicestershire and Rutland County Seniors play ten County matches supported by the L&RGU plus matches against the County of Yorkshire, The Worcestershire Society, the Lady Vets and the County Ladies. We have an early season competition (the Trial), this enables the squad to get together, it is also an opportunity for new and prospective members to meet the players and for the Captain to get an idea of early season form. This year it is being played at Ullesthorpe on 4th April. You are welcome to take part in this event, even if not a member of the County Seniors, however if that is case you are not eligible to win the Trophy. If you would like to take part in this, please contact the Director of Senior Golf (see below). The matches with the exception of those with the Lady Vets and The Worcester Society are played off scratch. Generally we meet at 9am at the host club for a bacon sandwich and coffee. The morning session is over nine holes; Foursomes for the League matches and Greensomes for the ‘friendlies’ then a light lunch. This is followed in the afternoon by better ball match play over eighteen holes. The day is completed with a jacket and tie dinner. The Midland Golf Union Eastern League, of which the L&RGU are part, consists of five counties from the East Midlands. Counties from the West Midlands form another league. There is a playoff final for the winners of each league, for the title of MGU Seniors League Champions. The other matches continue to be played as friendlies, but let me assure you, they are always just as keenly contested, the bragging rights for the victorious mean just as much! The Worcester Society and matches versus the Ladies are played in slightly different formats. 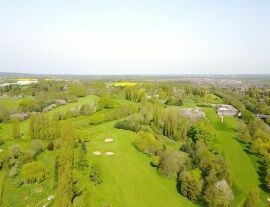 The MGU also organise two individual tournaments, a better ball pairs tournament and the Midland group qualifier for the England Golf County Championship, which is possibly the most prestigious competition. 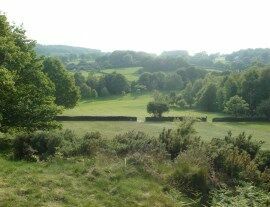 As part of the MGU, we have a team in this qualifier, which this year is being hosted by Coxmoor Golf Club. This team comprises six of our top players, team selection is the responsibility of the Seniors Captain, Alan Turton. All county seniors are encouraged to enter as many of the events organised by the MGU and L&RGU as they possibly can. 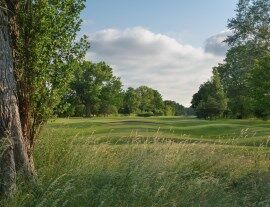 The teams for all County matches and subsequent pairings, are selected by the Seniors Captain, from an availability list prepared by the Director of Seniors Golf. This list is compiled from information supplied by the interested players, which could of course include you. There is an L&RGU County Seniors Order of Merit, points for which are awarded for success in county matches and seniors’ competitions run by the L&RGU and MGU. The Order of Merit trophy is presented at our end of season dinner, usually held in October/November. We also have a Scratch Knockout Cup. Entry forms for all of the various competitions can be found on the relevant websites. Please be aware, it is not a requirement that you play for the County seniors to enter any of the competitions mentioned, in fact, your participation is actively encouraged. If you are a member of a club in Leicestershire or Rutland, aged 55 or over, possess a handicap of seven or less and would like to get involved in these matches, or if you would like further information. 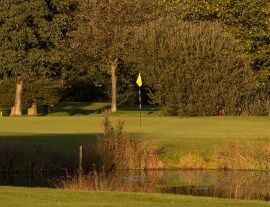 Please contact the Director of Senior Golf via this link, Keith Elliott, alternatively his contact details are shown on this website. Keith will then take you through the registration process.